Disciplinary Literacy for Deeper Learning explores what it means to read, write, speak, and listen for learning and creating knowledge across disciplines, including science, mathematics, history/social studies, and English/language arts. In this six unit course, participants will learn how to engage students in deeper learning through disciplinary literacy practices and explore the model for inquiry-based disciplinary literacy. Take action to become a teacher leader by engaging others in disciplinary literacy practices. Complete the registration survey to provide information about yourself, your school or district, and your goals for participating in the Disciplinary Literacy for Deeper Learning MOOC-Ed. Unit 1: What is Disciplinary Literacy and Why Is Important? In Unit 1, we focus on defining disciplinary literacy in the context of 4th - 12th grades with the purpose of preparing students for success in college, careers and civic life in the global digital age. We will focus on what disciplinary literacy looks like specifically in the four core disciplines. In Unit 2, you will explore how inquiry relates to disciplinary literacy by understanding the Model for Inquiry-Based Disciplinary Literacy (IDL). You will hear how experts in your discipline are conceptualizing disciplinary literacy and inquiry for the classroom and student learning. In Unit 4, we will examine how digital technologies can support inquiry. Given the number of technology tools available for teachers, it is important to be thoughtful when making decisions about what to use. The TPACK framework can support teachers to make productive decisions when planning to use technology. In Unit 5, we focus on assessing disciplinary literacy. We know that assessment is a critical aspect of student learning. Having formative assessments in place as an integral part of the inquiry-based disciplinary literacy (IDL) process is essential for a high quality student product. In Unit 6, we focus on being a teacher leader with disciplinary literacy. Teacher leadership continues to be a critical aspect of education. Teacher leaders may assume a variety of roles, all contributing to a dynamic learning culture. Dr. Hiller A. Spires is a Professor of Literacy and Technology in NC State’s Department of Curriculum and Instruction; she received her Ph.D. in literacy education from the University of South Carolina. She served as the founding director of The William and Ida Friday Institute for Educational Innovation from 2002-2006 and currently serves as FI Senior Research Fellow. She was awarded the Alumni Distinguished Graduate Professorship in 2012. Her research focuses on the effects of digital literacies on learning, including emerging literacies associated with gaming environments. She focuses on inquiry-based disciplinary literacy for middle and high school teachers and students. Dr. Spires led the development of the New Literacies & Global Learning graduate program and co-directs the Friday Institute’s New Literacies Collaborative. She has been working with teachers in China since 2007 and Beijing Royal School since 2010. Check out her website. 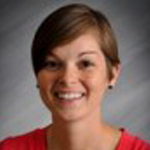 Erin Lyjak is a research assistant at the Friday Institute for Educational Innovation, working with the New Literacies Collaborative. She received her Master’s degree in Experimental Psychology from Radford University. 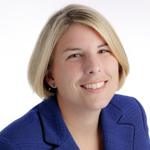 Erin has been in the field of educational research for over 14 years. Prior to joining The New Literacies team, she worked on a wide range of educational studies, including school violence prevention, standardized testing, PISA, and chancellor reviews. Shea Kerkhoff taught public high school for 7 years, including Wake County Public Schools and District of Columbia Public Schools. At Vanderbilt University, she completed her M.Ed. in International Education. She currently serves as Education Director for 4 the World, an international nongovernment organization. Now at NCSU, she is pursuing her Ph.D. in Curriculum and Instruction with a focus in literacy. Her research interests comprise academic writing instruction, integrating technology, equity pedagogy, and disciplinary literacy. Abbey Graham earned her M.A in Curriculum and Instruction from University of Denver and a Reading Endorsement from Adams State University. She taught high school English in Colorado, where she became interested in helping struggling readers navigate the complexities of Language Arts classroom. 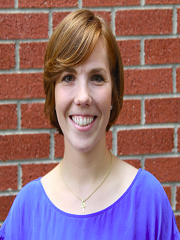 Currently, Abbey is a doctoral student at NC State University in the Department of Curriculum and Instruction in Literacy and Language Arts. Dr. John Lee is an associate professor of social studies education at North Carolina State University. His scholarly work focuses on digital history and new literacies in K-12 and teacher education. Projects in digital history under development can be found at dhpp.org. He was a co-writer of the College, Career, & Civic Life (C3): Framework for State Standards in Social Studies and is co-founder of C3 Teachers. John co-directs the New Literacies Collaborative. His work also includes a focus on global learning through the Technology Enriching Instruction program and the Beijing Royal School in China. He is author of the book Visualizing Elementary Social Studies Methods. For more click here. 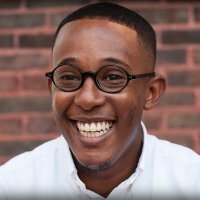 Benjamin Robinson is the media coordinator at The Friday Institute for Educational Innovation. He received his Master's degree in Interactive Media at Elon University. Benjamin has more than 5 years in media production where he takes responsibility for documenting culture through film and uses the internet to gain information to create a larger platform for his community using social networks and other tools. 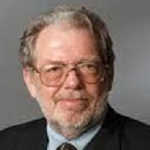 Dr. Timothy Shanahan is Distinguished Professor Emeritus of urban education at the University of Illinois at Chicago where he was Founding Director of the Center for Literacy and chair of the Department of Curriculum and Instruction. He is principal investigator of the National Title I Study of Implementation and Outcomes: Early Childhood Language Development. Professor Shanahan was director of reading for the Chicago Public Schools. His research emphasizes reading-writing relationships, reading assessment, and improving reading achievement. He is immediate past president of the International Reading Association. In 2006, he received a presidential appointment to serve on the Advisory Board of the National Institute for Literacy. He was inducted to the Reading Hall of Fame in 2007. 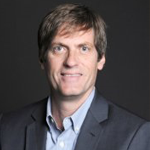 Dr. P. David Pearson is a faculty member in the programs in Language and Literacy and Human Development at the University of California, Berkeley, where he served as Dean from 2001-2010. He received his Ph.D. in Reading Education at the University of Minnesota and completed his post-doctoral study at the University of Texas, Austin and Stanford University. Current research projects include Seeds of Science/Roots of Reading and the Strategic Education Research Partnership. He also works with teachers in middle and high schools in New York City to figure out how to promote deeper learning as teachers try to navigate the new Common Core State Standards in English Language Arts. 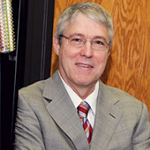 Dr. Pearson has written and co-edited numerous books and articles, including the Handbook of Reading Research. He has received numerous awards and in 2012 the Literacy Research Association established the P. David Pearson Scholarly Influence Award. 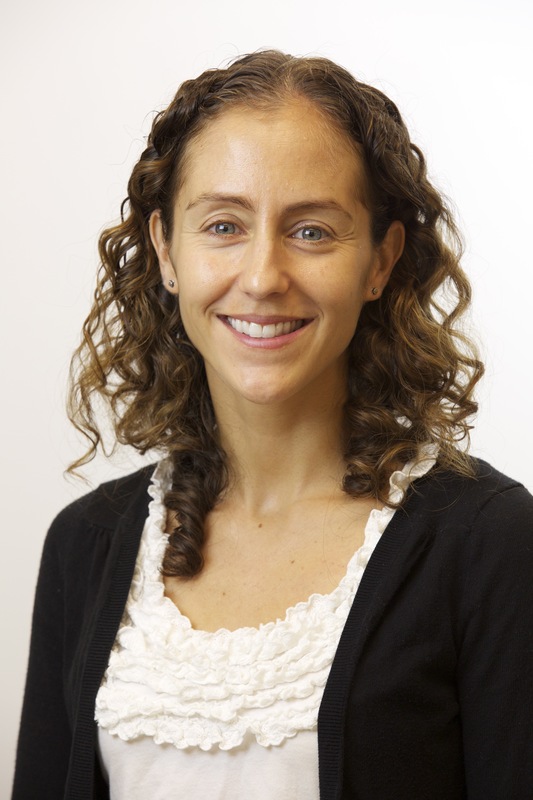 Dr. Erin Krupa is currently an Assistant Professor at Montclair State University in the department of mathematical sciences. She earned her Ph.D. in mathematics education at North Carolina State University (NCSU). Erin is interested in the design, dissemination, and effectiveness of innovative professional development for mathematics educators. She strives to provide quality professional development to enhance teachers’ instructional practice, content knowledge, and beliefs. Of particular interest to her is the impact professional development has on both curricular implementation and student mathematics achievement. In collaboration with colleagues, Erin has been granted a National Science Foundation Noyce grant to design an innovative mathematics degree program leading to K-6 teaching certification, a New Jersey Mathematics Science Partnership grant to offer professional development for 5-8 teachers around the Common Core State Standards for Mathematics, and a sub-contract to the Race To The Top grant to offer professional development for 5th and 6th grade teachers in Newark Public Schools. 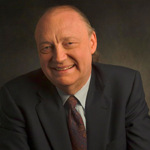 Dr. Donald J. Leu is the John and Maria Neag Endowed Chair in Literacy and Technology at the University of Connecticut. He holds a joint appointment in Curriculum and Instruction and Educational Psychology in the Neag School of Education. A graduate of Michigan State, Harvard, and Berkeley, he is an international authority on literacy education, especially the new skills and strategies required to read, write, and learn with Internet technologies and the best instructional practices that prepare students for these new literacies. Don directs the New Literacies Research Lab in the Neag School of Education. He is a member of the Reading Hall of Fame, Past President of the Literacy Research Association, and a former member of the Board of Directors of the International Reading Association. He edited the Handbook of Research on New Literacies (Erlbaum, 2008) and has more than 100 research publications and seventeen books on topics that range from the new literacies of online research and comprehension, to teacher education, to phonemic awareness. 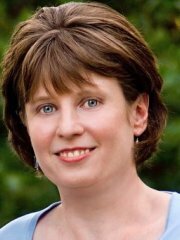 Dr. Leigh Hall is an associate professor of Literacy Studies at North Carolina State University at Chapel Hill. Currently, Dr. Hall teaches literacy courses in the Elementary Education program, the M.Ed. for Experienced Teachers program and for students preparing to be scholars in the field of literacy. 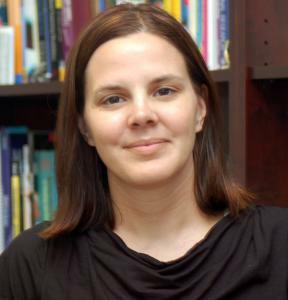 Hall’s research addresses issues relevant to literacy, middle school and teacher education. Her work considers if and how students’ identities as readers influence the decisions they make when reading, and if how teachers can use information about students’ identities to inform their practice and improve students’ reading comprehension. Hall’s work on adolescents challenges research and theory suggesting that struggling readers typically avoid text, are unmotivated to read and may not care about learning. Instead, Hall’s research suggests that struggling middle school readers like to read and would like to become better readers. She has found they tend to express continued interest and excitement in school despite their largely negative history with it. 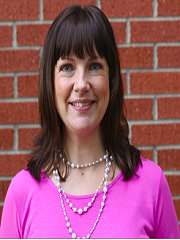 Dr. Jill Grifenhagen is an assistant professor of literacy education in the Department of Elementary Education at North Carolina State University. She was a classroom teacher in Washington, DC and Boston prior to earning her Ph.D. from Peabody College of Education and Human Development at Vanderbilt University. Dr. Grifenhagen’s research focuses on the role of teachers’ talk in the classroom learning environment. She is interested in the intersection between children’s language and literacy development as well as preparing children from all backgrounds for the academic and language demands of schooling today. In turn, Dr. Grifenhagen seeks to develop the best training and supports for teachers to improve practices in language and literacy. Dr. Ann Duffy Harrington, a former elementary school classroom, ESL, and reading teacher, is a Teaching Associate Professor in the Department of Elementary Education in the College of Education at North Carolina State University. Prior to her work at NC State, she served on the faculty at UNC-Greensboro and UNC-Chapel Hill. She earned her Ph.D. in Reading Education from the University of Georgia. Ann’s scholarly interests focus on optimal literacy environments and structures for diverse, striving readers; literacy teacher education; and teaching in high-poverty elementary schools. 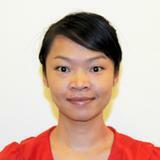 Dr. Meixun (Sinky) Zheng received her Ph.D. degree in Literacy Education from NC State. 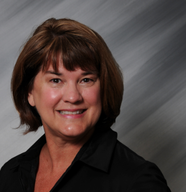 Currently she is an instructional design and faculty development specialist at University of the Pacific, where she also holds an adjunct faculty appointment. At UoP, Dr. Zheng conducts research on teaching/learning innovation and faculty development in the digital age, and works with faculty to redesign face-to-face, online, and blended courses. She also develops and delivers faculty development programs to improve faculty skills in innovative pedagogy such as blended learning, the flipped classroom, and integration of web / mobile technologies. Prior to that, Dr. Zheng worked as a research associate and graduate research assistant at NC State's Friday Institution for Educational Innovation, where she conducted research with Dr. Spires on new literacies associated with emerging technologies (e.g., videos, games, and Web 2.0 tools), and facilitated workshops to K-12 teachers in the U.S. and China. She also taught undergraduate and graduate courses in literacy in the capacity of an instructor and Adjunct Teaching Assistant Professor. Eric Broer is a teacher at Leesville Road High School in Raleigh, NC. 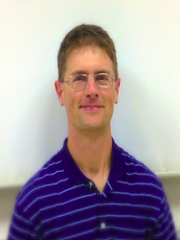 At Leesville, he teaches newspaper, English I Paideia, and English II and mentors beginning teachers. He is also an adjunct professor for NCTeach, part of North Carolina State University. He graduated with a masters in New Literacy, Global Learners from NCSU and is interested in professional development, disciplinary literacy, lesson planning/pedagogy,formative/summative assessment, and teacher evaluation. Andrea Gambino Rhodes received her Master’s of Education in Curriculum and Instruction with a specialization in New Literacies and Global Learning from NC State University. She has taught 7th grade social studies at Centennial Campus Magnet Middle School for six years and previously taught English. She is extremely interested in professional development for educators in secondary education particularly in the area of technology and new literacies. In the future, Andrea is interested in pursuing a Ph.D in Curriculum and Instruction in the future in hopes to work with the next generation of teachers. Crystal Simmons is a Curriculum and Instruction doctoral student at North Carolina State University with a concentration in Social Studies Education. She received her Masters of Education in Social Studies Education at UNC-Chapel Hill. For six years she taught 8th grade social studies. Her leadership roles within the schools included department chair for the social studies department, team leader, faculty council, and after school manager. While in her fifth year of teaching she was named teacher of the year for Githens Middle School in Durham. Currently as a full time doctoral student she teaches pre-service teachers in social studies methods for middle grades and an introductory course to education. 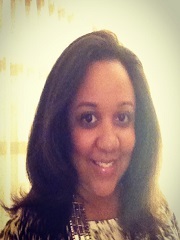 Her research interests are critical race theory and racial identity development in social studies education. 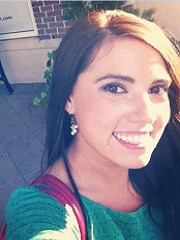 Lindsay Patterson is a PhD candidate at NCSU, studying Science Education. After earning a Biology undergraduate degree from Appalachian State, she started teaching Biology at Bunn High School in Franklin County, North Carolina. After four years in the classroom, she returned to graduate school full time at NCSU. She has since completed a Master's in Science Education and a Master's in Zoology. She plans to graduate with her PhD in Science Education in December of 2014. Her research interests in education are focused on teacher beliefs and technology integration, and she has worked a research project in order to better understand how elementary students can learn to form a scientific argument.